As a Graphic Designer, you want equipment that allows you create and organize your work effectively, efficiently, with mobility, and all for a reasonable price. The importance of a reliable laptop computer is undeniable, as it allows you to work just as easily on the road as from the comfort of your home. Today’s modern laptops are faster, smoother, hold more information, have sharper visual displays, and operate much faster than anything we’ve seen before. Not all laptops, however, are equal. With such an important investment, it is imperative to ensure that you are making the right choice. With so many variables, you have to decide which laptop best suits your personal needs in Graphic Design. I’m A Graphic Designer – What Do I Need In A Laptop? The most important thing any Graphic Design laptop must be capable of is running whichever software or program you use to create your masterpieces, such as Adobe Creative Suite. Always check the recommended specs on anything you use before committing to a computer. You can cross examine the available computing power, GPU, RAM, and any other similar variable in regards to processing data. While on the topic of specifications, you must also consider how much internal memory you require, or if the laptop you are purchasing even has the ability to hold external data, such as external hard-drives, flash drives, etc. There are, however, alternatives to physical memory. With an internet connection, and sometimes a few additional costs, you can use online storage, commonly reffered to as “the cloud”, to store the majority of your work and save memory on your computer. Now that you are sure the hardware can accomidate you, it is recommended to examine the visuals and the screen. A big part of Graphic Design is ensuring that your end result looks good, which might be a little difficult if your laptop’s display is on par with an early 2000s flip phone. Depending on how crisp of an image you require, check to see if the screen is rated to your standards. If has a high quality resolution it might be a worthy contender. As usual, check some reviews to see what others who have bought these products think about it. Other important physical aspects include size, portability, and overall ease of use. Is the keyboard convenient? How is the battery life? Does it take a long time to charge? These are all small aspects that we sometimes overlook, but are best considered before buying a piece of equipment you will likely be using for a long time to come. In terms of keyboards and touchscreens, you should take into account the style of design you prefer. If a sylus based system is most convenient for you, there are several Microsoft tablet style laptops that include their iconic Surface Pen, giving you control over finer details, as if you were using a pencil. Some people prefer directly using touchscreen. If you think your fingers, alone, would be a more accurate measure, there are many choices, both laptop computer and tablet, that allow you to work that way. The advantage, however, of using a mouse or mousepad, is accurate, less sensitive motions. There are also options to use plugged in, or Bluetooth, drawing pads that hook up to your computer. Most, if not all, of these laptops have wireless bluetooth capability. Even those that did not specifically state Bluetooth capability more than likely offer it, due to the fact that most modern laptop computers have Bluetooth built in. The options available offer a wide range of choices for any type of Graphic Designer. 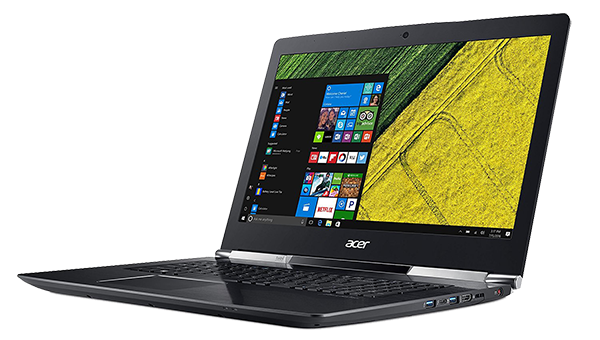 The Acer Aspire V7 runs Windows 10, supports Adobe products, and comes complete with a built in camera for Skyping or video messaging. The laptop weighs in at around 7 pounds, which is slightly above the average weight, but definitely not as overbearing as you’d expect for such a heavy-duty, all inclusive laptop. For what it provides you, it is well worth considering, according to all the positive reviews. The ASUS P-Series is a perfect demonstration of how a lower price does not neccessarily mean lower quality. Not much is sacrificied for those who are budget minded, in the case of this business style laptop. It carries a respectable Intel i5 processor, a standard 8GB of RAM, and even holds a full terabyte hard drive, like our top choice. This laptop is just as capable as any standard desktop office computer, with the added bonus of modern Bluetooth. This ASUS runs on Windows 10, has no issue with most Graphic Design programs, and is quite durable and rugged, accord to ASUS. The battery lasts approximately 9 hours before needing a recharge. Weighing in at 5.2 pounds and with a 15.6″ screen, this is a decent option for any graphic designer on the go. This touchscreen laptop allows ease of creativity with its included stylus, that Microsoft refers to as the “Surface Pen”. You can use it to navigate and change fine details without need for a wireless mouse or having to strain your fingers on the laptop mousepad. 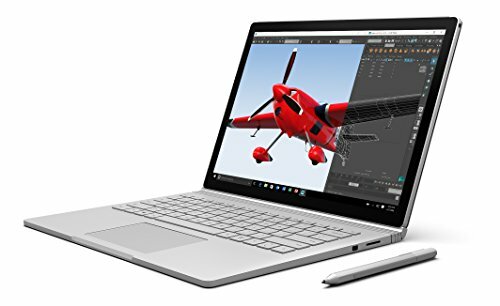 With it’s 13.5″ screen, and weighing only 3.48 pounds, this Surface Book is compact and convenient for Graphic Designers whether in your office or sitting crammed in a plane seat. The visuals are noticeably crisp, bragging a 3000 x 2000 resolution. 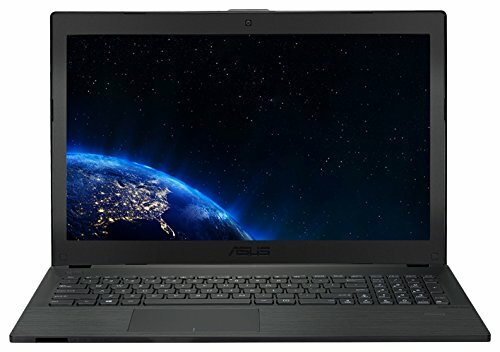 The computer runs on an Intel i7 processor and has a top-of-the-line NVIDIA GeForce GTX 965M graphics card, which essentially means that your laptop will run your software fast and smoothly.